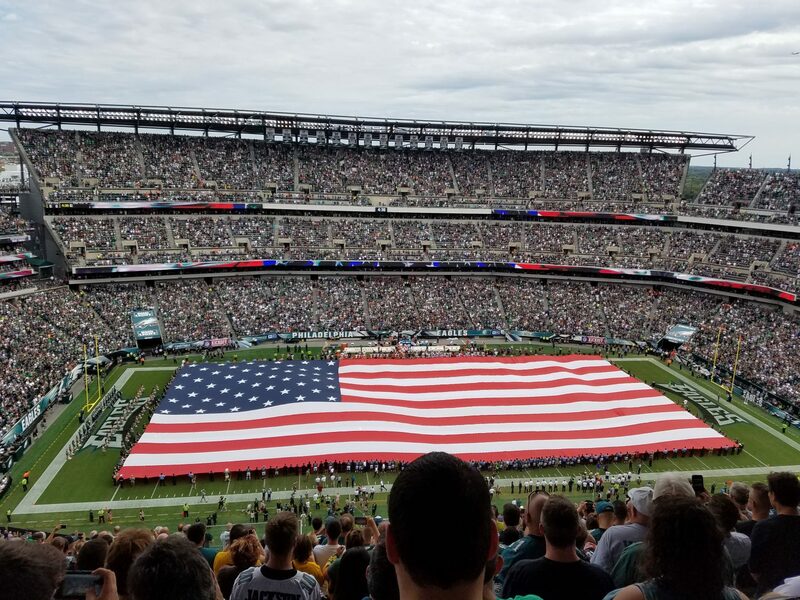 A month and a half of Eagles training camp and preseason football has come and gone, and with it, the anticipation of a new season is upon us. Michael Vick and Nick Foles both displayed that they were capable of handling the quarterback position, with Vick narrowly beating out Foles for the starting job. Vick looked errorless in his first two preseason games, but after he was anointed the starters’ job, went back to being somewhat inconsistent in the 3rd preseason game against the Jacksonville Jaguars. But that is the knock on Vick…when he is under pressure to perform and to prove himself, as he was in 2010 when he acquired the starting job after Kevin Kolb was injured in the first game of the season, he can look unstoppable and run the offense like a machine. But once Vick has the security of knowing that he is the man at the helm, he goes back to his bad habits of holding onto the ball too long and having a bad penchant for turnovers. Eagles coach Chip Kelly did the right thing by not handing over the starting job to Vick at the outset of training camp. Hopefully, if Vick struggles, Chip won’t hesitate to give the job back to Nick Foles, who doesn’t have the natural ability of Vick but may prove to be better at avoiding mistakes in the long run. The rest of the offense and the special teams look to be quite formidable and have the ability to make big plays, except when running back Bryce Brown and kick returner Damaris Johnson hold the ball as if they were playing “hot potato”. The defense, on the other hand, is this team’s “Achilles Heel”, and will be a work in progress for most of the season. A wretched defense from 2012 cannot be turned over completely in the span of a year, and it may take some time to figure out who the keepers will be on that side of the ball. The pass rush may turn out to be decent, and it will have to be to mask what is an unknown and unproven secondary. Bad draft picks from the recent past such as safety Nate Allen and linebacker Casey Matthews may have their days numbered as Eagles, though Allen may be kept, just for the lack of available and experienced bodies out on the field. PHILLIES – Last month, I stated that we would lose interest in the Phillies by Sept. 1st. Unfortunately, I was wrong – most of us had lost interest by August 1st, as the team lost 19 of 24 after the All-Star break, prompting management to fire manager Charlie Manual. The writing was already on the wall that Charlie would be gone after the season, but with the Phillies resurrecting the role of “Dead Man Walking”, something had to be done to revive what was a team without a pulse. While Manuel was never quite the baseball strategist, and seemed to struggle with the “double switch”, I give him credit for guiding the 2008 team to its first World Series in twenty-eight years. On Sept. 10th of that season, the Phillies, coming off a 7-3 loss to the Marlins, were 3.5 games behind the division leading Mets, four games behind the wildcard leading Brewers (whom they were about to start a 4-game series at home against), and in danger of missing the playoffs once again. The Phillies swept Milwaukee in that series, going 13-3 the rest of the way, and had a magical run through the playoffs, culminating in a World Series clinching victory in Game 5 against Tampa Bay which took two nights to complete due to the game being suspended in the middle of the sixth inning (which I was lucky enough to attend on both nights). During that magical run, Charlie Manual kept throwing out J.C Romero in the 7th inning, Ryan Madson in the 8th, and closer Brad Lidge in the 9th….and it happened to work every night from mid-September onwards, while he allowed his talented core of offensive players to perform on the field without screwing it up. But while I give Charlie his due, can someone PLEASE explain to me when exactly he 1) Eradicated polio from 3rd world countries and 2) Saved ten children from a burning building?? Since that is the kind of recognition he has received AFTER being released from the Phillies. SIXERS – If the Sixers ownership and management were the Founding Fathers of our country, it would have taken them ten years to write the Declaration of Independence and another five years to announce to the British and the “New World” peeps that we had declared independence. Actually, on the day that they were to declare independence, they would have instead announced that the local general store, which coincidentally happened to be owned by one of them, was having a 2 for 1 sale on horse and buggy supplies. But such is the nature of the NBA in Philadelphia these days – bad basketball and bad ownership. If the Sixers plan eventually works (which is quite possible) and they acquire the right players, the fans will come back. But in the meantime, some positive P.R from the owners’ box wouldn’t hurt. Then again, perhaps 1) Public Relations and 2) Analytics just don’t mix? FLYERS – Nothing much to report here, expect that Claude Giroux’s golf game isn’t going quite as planned. While it’s great that we join a gym in order to get/stay in shape, why do we drive around for ten minutes in the gym parking lot to find a closer parking spot instead of just walking the extra few feet?